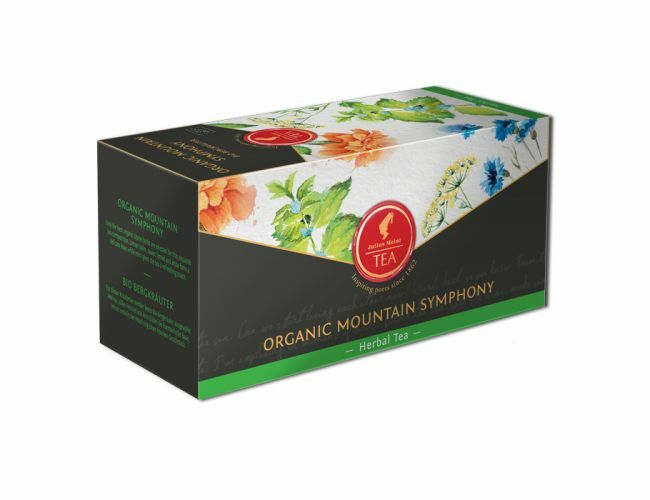 Only the best organic alpine herbs are selected for this exquisite tea composition. Lemon balm, sweet fennel and anise form a delicate base while mint gives the tea a refreshing touch. - Julius Meinl signature tea. 100% Organic. Flavouring free.